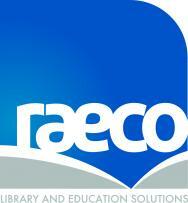 Raeco® has completed 55 years creating exciting Learning Spaces around the world. Public, School, University and Corporate Libraries, Raeco® covers almost every conceivable need for your learning space. Raeco create innovative, flexible and functional library spaces using the latest in product designs and finishes. On site consultations are available to discuss the use and application of an extensive range of standard or customised product designs. Collaboration and continued engagement with Architects and Project Managers generate a good fit with floor plans and overall design. A comprehensive range of standard, off the shelf products will meet your immediate needs. Raeco’s business is your learning space – we create projects to fit all Time, Cost and Quality outcomes.